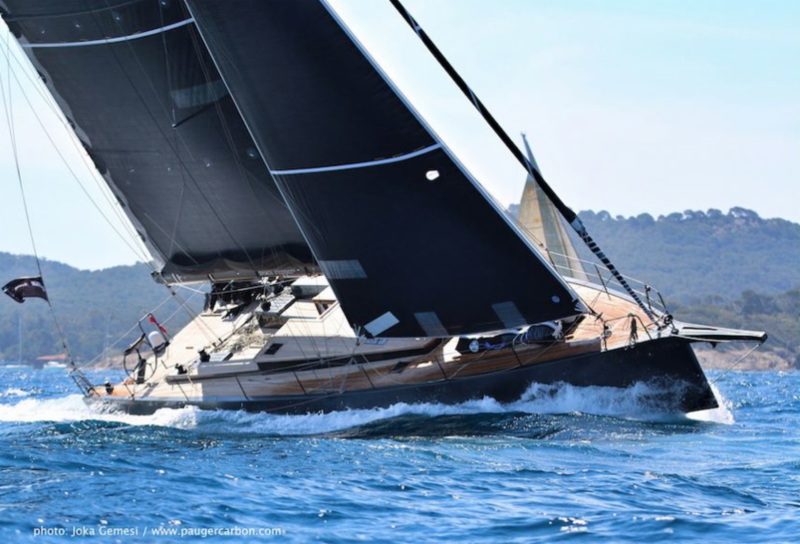 Warm, Wet, Windy 2019 BVI Spring Regatta & Sailing Festival Set to Deliver the Goods! Tortola, British Virgin Islands – February 1, 2019: With under eight weeks to go before the BVI Spring Regatta & Sailing Festival, 60+ boats and crews have their flights booked and are well on their way to the sunny BVI. This year’s regatta runs March 25 to March 31, so get your team together and game for an unforgettable sailing extravaganza. Race week schedule will include the traditional Round Tortola Race for the Nanny Cay Cup, followed by Scrub Island Invitational on day two of racing in the Sailing Festival. Three great days of racing follow for the 48th BVI Spring Regatta. There’s plenty to love about Spring Regatta beyond the spectacularly blissful break it gives from the winter doldrums, especially the mix of international crew and range of boats that participate; from 68′ Gunboats to the beloved 23′ Piglet, the Newick Teegull Tri who has for countless years sailed from St Croix to race. This year the fleet includes owners and crews from USA, Germany, BVI, USVI, Netherlands, UK, Puerto Rico, Canada, Antigua, Belgium, Barbados, and Russia. It’s also a guaranteed good time when many of the fleet are returning for their multiple BVISR event, including Jeremi Jablonski/Avanti (Hanse 430 – USA), Peter Corr/Blitz (King 40 – USA/USVI ), Richard Matthews/Holding Pattern (ST37- GBR), Pamela Baldwin/Liquid (J122 – ANU), Bernard Evan Wong/TAZ (RP37 – ANU), Tony Mack/Team McFly-El Ocaso (J122 – UK), and Rob Butler/Touch2PlayRacing (Reflex 38 – CAN). Jablonksi, who took first in class last year, maintains that the BVI offers up exciting racing with against great friends; he’s also known on the dock as the guy with a glass of champagne in hand around 9am. 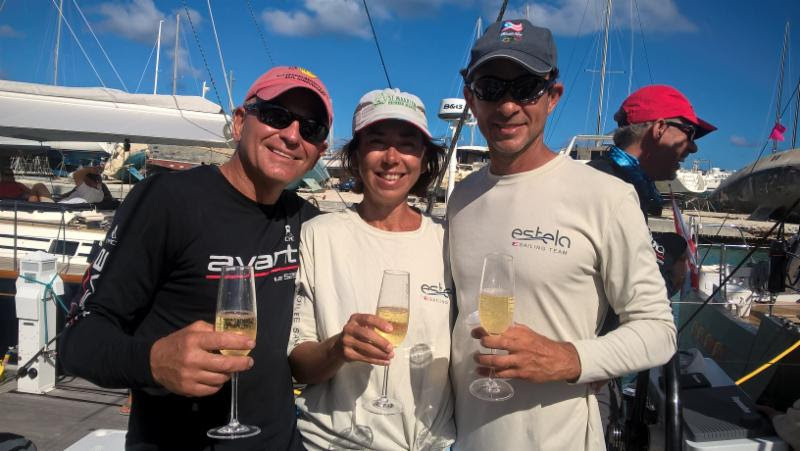 “I wouldn’t be able to keep up with the fleet if I didn’t also start the racing day at 9am with champagne!” he said. Among new entries this year are Arará, the stunning 67′ Black Pepper Code 2 owned by Timothy Gollin (USA); Balaju, a Beneteau 10R owned by Jose Sanchez (PUR); Sonrisa, the XP44 owned by Greg Kelly (USA); Such Fast, a 1D35 owned by David Garman (USA); and Hermes, a Pogo 12.50 (CAN) owned by Morgen Watson and Meg Reilly of Ocean Racers, competing with an international charter team from Poland, USA and Canada in their first ever BVISR. Gunboat also anticipates new boats competing in BVISR which has become the fleet’s primary annual racing event. The Moorings and Sunsail, long-time event sponsors with local bases in Tortola, still have boats available for charter. Other options are available including high-performance boats, all listed here. Chartering is the perfect opportunity to take sailing in the stunning BVI to the next level, like Carl Hanssen and his crew Team Variance/Pure Michigan who have chartered a Moorings 45.4 to do just that. 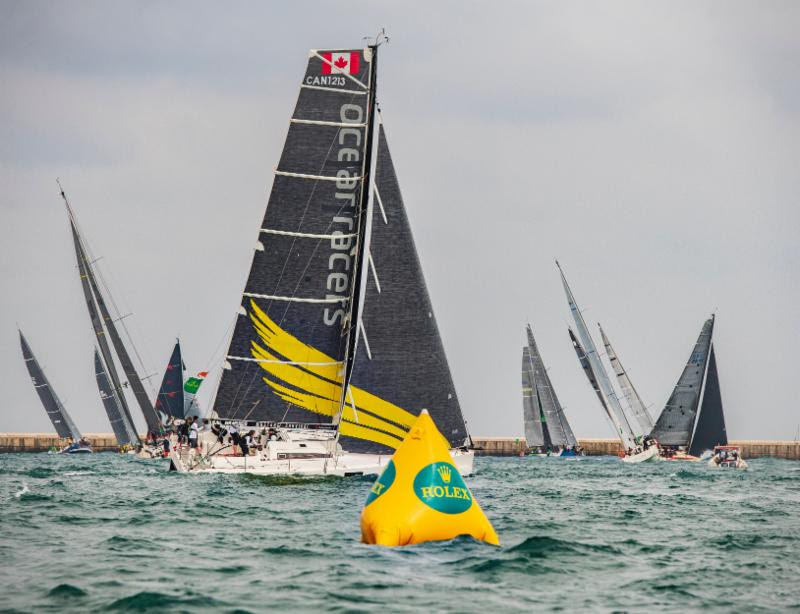 “We are an active race team on Lake Michigan and really enjoy the BVI – this will be our first time racing the regatta, we’re looking forward to it!” Hanssen said. The 48th annual BVI Spring Regatta & Sailing Festival will take place between March 25-31 March 2019.